There were 554 press releases posted in the last 24 hours and 153,503 in the last 365 days. 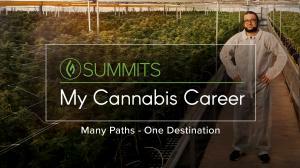 VENTURA, CALIFORNIA, UNITED_STATES, August 6, 2018 /EINPresswire.com/ -- The nation’s #1 Cannabis information and educational platform, Green Flower, has launched its new “My Cannabis Career” Summit for streaming online today. Produced to give eye-opening presentations from a diversity of highly successful cannabis business leaders giving ambitious cannabis enthusiast inspiring insight into the burgeoning cannabis industry. The series commences today and free until the 19th, available in premium commencing the 20th. Intended to give anyone and everyone, whether new or just transitioning, meaningful insight into the Cannabis industry, presentations are from thirteen industry leaders sharing their own varied experiences, good and bad or funny and sad, of how they pursued their individual cannabis career paths ultimately finding their place in the flourishing market. Featured guest presenters include: Jenna Greenfield, Sagely (Accounting); Bridget Hill-Zayat, Hoban Law (The Lawyer); Dr. June Chin (The Doctor); Jessica Reedy, Mary’s Medicinals (The Scientist); Julie Crockett, MMLG (The Compliance Officer); Rosie Mattio, Rosie Mattio Public Relations (The Publicist); Jeffrey Zucker, Green Lion Partners (The Entrepreneur); Joshua Haupt, Three A Light (The Cultivator); Sean Donahoe, Operative Campaigns (The Lobbyist); Gaia Weise, Harborside (The Budtender); Jeremy Jacobs, Enlighten (The Marketer); Morgan Paxhia, Poseidon (The Investor); and Dee Dussault, Ganja Yoga (The Yoga Teacher.